There was a lot of hype surrounding this movie. So much so, you'd think it was the second coming of Batman. But that being said, the movie was mostly entertaining. Captain America was refreshingly quaint, in all his 40's glory (and kudos to Chris Evans for bulking up since I saw him last! ), and Ironman was cocky and witty as usual. I felt a minor disappointment in Mark Ruffalo as Hulk, since he never actually played Hulk before, so he was the only character lacking promotional flashbacks to a solo movie. Then again, maybe that's not such a bad thing. The special effects team was kept busy, as with any movie that includes aliens. And for the most part, it was done fairly well (although I'll probably feel differently looking back on this 10 years from now - remember the special effects on the original King Kong??). They made Hulk look like an absolute beast - so much so that I wish he had gotten more screen time (especially instead of Samuel L. Jackson). 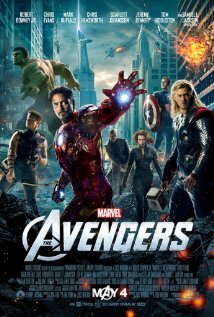 They also made Loki's powers seem realistic (in the sense that this is a movie about people with superpowers). I totally get why guys get all geeked out about these superhero movies - they are the chick flicks for the male population. And this would be one of the better ones, especially since it didn't fall into the trap of trying to emphasize some lame romance angle to satisfy reluctant girlfriends dragged to this movie. But (and it's a big but), I have some serious pet peeves about the details. I understand the movie is not exactly shooting for the Oscars, but is it so much to ask that the characters use the correct accents? What do I mean? Scarlett Johansson's Black Widow has the real name of Natasha Romanoff. As in, she's a Soviet (Russian, for those of you who can't keep track of history before 1991). But does she have a Russian accent? And what about Thor? I understand according to Marvel, Thor was raised on another planet, but considering the fact that he is based on the god from Norse mythology, one would think he would at least not have a British accent. Final word: If this movie were judged on body count and fight scenes, it's be ranked as the greatest action movie of all time. Then again, Con Air would also be on that list.